Innovative thinkers | American Transmission Co.
We are an organization of innovators. We are continually improving, constantly evaluating our costs against industry benchmarks and identifying best practices and lessons learned. We are always looking for ways to be more efficient and more effective – in other words, we continuously look for ways to do it better. 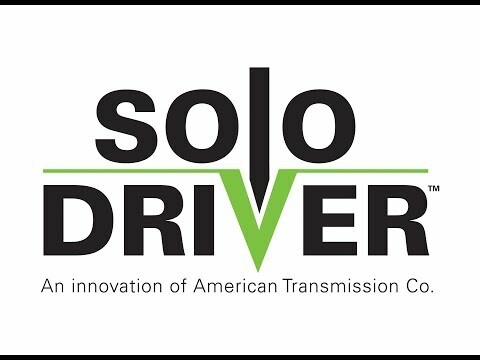 Solo-Driver™ and the nation’s first high-voltage direct current flow-control device are just two examples of how creative problem solving for us is just standard operating procedure. We are driving improvements in transmission line construction and developed Solo-Driver™, a new, patent-pending method for installing electric transmission foundations this is faster, more economical and more environmentally friendly than traditional methods. Historically, the utility industry has relied upon two methods for installing transmission structures when a concrete base is not needed: direct bury and traditional vibratory installation. We saw an opportunity to improve upon the vibratory installation method in a way that would cut costs and improve efficiency. Solo-Driver can result in labor and equipment savings of up to 55 percent, depending on construction access and soil types. We installed the first high-voltage, direct current flow-control device in the nation to better manage power flows into and out of the Upper Peninsula of Michigan. The device allows power flows between Upper and Lower Michigan to be controlled by MISO, maintaining appropriate thermal and voltage levels on the system. Despite significant upgrades to transmission infrastructure in the U.P., operational challenges remained due to the delicate balance that exists between generation, load, market flows and transmission. We addressed this problem by installing a 200-megawatt station with two back-to-back converters connected directly to each other. The unique setup allows for complete control of the power transfer through the connection. This innovative design is providing improved reliability, and is also a less expensive and faster solution compared to the portfolio of transmission lines that were studied as alternatives.